Malta’s most sought after food event will head to Gozo for another special edition of the Malta International Food Festival. Over 6,000 patrons flocked to Xewkija last September for a night of food and fun. For another year the astonishing Xewkija square will once again host the festival with an added two day experience on Friday 10th and Saturday 11th August 2018. Over 10 food stands selling a host of culinary delicacies from all over the world. It’s a free street food festival with a focus on inclusivity. Same place, different tastes. Taste the authentic Asian cuisines, the fresh Mediterranean delights, best of Europe and genuine Gozitan delicacies. Your perfect night to discover new tastes, brewery stands and special wines for a tasting experience, all rhythmed by a special set of live musicians right beneath the majestic Xewkija Parish church. Dessert lovers will also not be disappointed with an overwhelming choice of sweets and home-made ice creams, to name just a few, they are spoilt for choice. It’s an added bonus the mid-summer holidays at the beautiful sister island of Gozo. The way it works is easy. Entrance is free of charge; patrons will have to purchase tokens and redeem in any food they desire. The Malta Public Transport and other operators will be offering a shuttle service from the Mgarr Ferry Terminal to the Xewkija Square through rout 323. 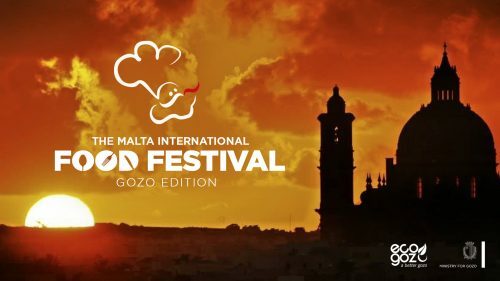 The Gozo Edition of the Malta International Food Festival is being held on Friday 10th and Saturday 11th August 2018 at Xewkija Main Square from 18.00 onwards. This festival is being organised along with the Ministry for Gozo and EcoGozo.